Welcome to the final step in our free self-paced course to help you set up your own personal or professional educator blog! The word marketing has got a bad rap in recent decades. Perhaps it makes you think of cheesy, spammy scams, used car salesmen, or endless infomercials. This is definitely not the sort of marketing we’re talking about here. As Seth Godin explains, modern marketing is really using the culture to reach people who want to be reached and offering them something they’re glad to find. There’s probably many members of the education community out there who would love to find you. So, do them a favor and start marketing your wonderful work! Before we look at building an audience through sharing and marketing your blog, let’s go over the many benefits of blogging just for yourself. What’s the point of blogging even if no one is reading? Is there a point? Professional writers have long described the way that the act of writing forces them to distill their vague notions into clear ideas. By putting half-formed thoughts on the page, we externalize them and are able to evaluate them much more objectively. This is why writers often find that it’s only when they start writing that they figure out what they want to say. Take a topic you know a little about or have some interest in, do some research and present it in an easy-to-digest way for others. You might be surprised at how transformative this learning process is! Some professionals also enjoy having a blog or website that serves as a digital portfolio. This home base for all your work and credentials can be an advantage for furthering your career. Teacher-bloggers can be role models for students as digital citizens and writers. Furthermore, trying out blogging before introducing it to your students can be a comfortable progression for many educators. Despite all of the personal benefits of blogging, you can really amplify things by building an audience. Building an audience also means expanding your professional learning network (PLN); there are countless benefits to building a strong network as we explore in our free self-paced PLN course for educators. So we know there are benefits to having an audience for your blog, but building an audience does take work and it requires you to share and market your posts. 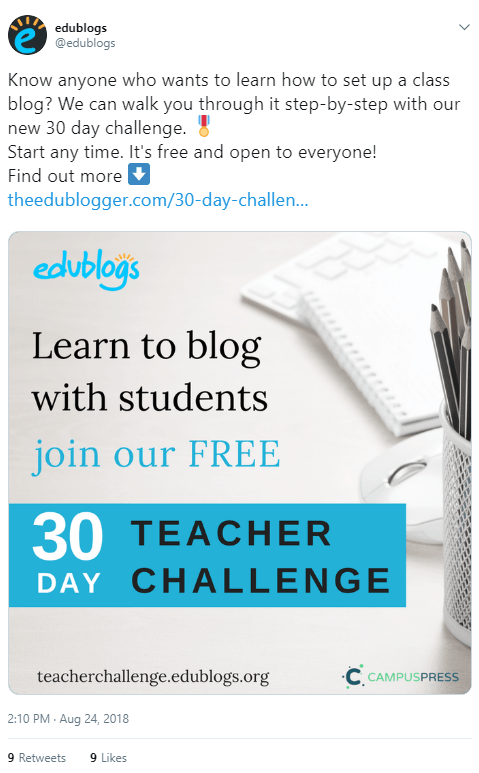 With the rise of the ‘edupreneur’ some teachers are using blogging for financial benefit, however, we’ll be focusing on sharing and marketing for the non-professional teacher blogger who’s interesting in connecting and learning with others. You might have put together a fantastic blog post and felt satisfied as you hit the publish button, but your job is not done. Just because you publish something online, doesn’t mean it will be seen. People won’t know about your post if you don’t share it. Standing out in a blogosphere populated by millions of people can take work. Fortunately, there are some simple strategies to help ensure your blog post gets an audience. Blogging is not like writing a high school essay. A long chunk of text on a page is just not going to appeal to your potential audience. They’ll move on. The first thing you need to do is look at your styling and post layout because let’s face it; people aren’t going to share your post if the content was too difficult to even read. Our post 10 Tips For Making Your Blog Posts Easier To Read will help guide you through the process of creating easy to read posts. Studies have shown that visitors to your blog will probably only read about 20% of your post. People generally scroll through and skim posts. Images give people a reason to stop scrolling. Through an image, people may be more likely to take in your content and share it with others. What Sort Of Visuals Can You Make For Blog Posts? There are all sorts of visuals you can include in your posts. Let’s explore three popular additions to blog posts — social media graphics, infographics, and quotes. Bloggers often create a graphic to accompany their blog post which makes a social media post stand out. It’s generally just the title of the blog post with an image and the blog URL — perhaps with blogger’s name or social media handle too. Whenever we create a new post on The Edublogger, we create a simple graphic to go with it. There are certain size dimensions that are ideal for different social media platforms as outlined here by Louise M. (Tip: If you’re using Canva which we will explain below, it will generate the correct size automatically). An infographic can be a great way to summarize information or data and make posts more shareable. 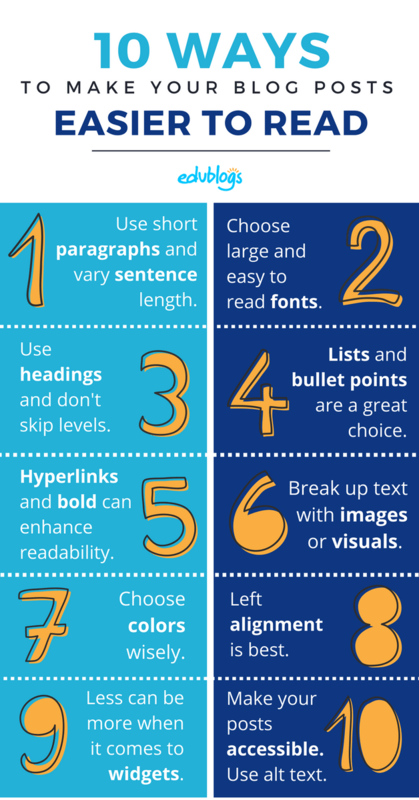 The 10 Ways To Make You Blog Posts Easier To Read visual above is an example of an infographic that acts like a ‘cheat sheet’. 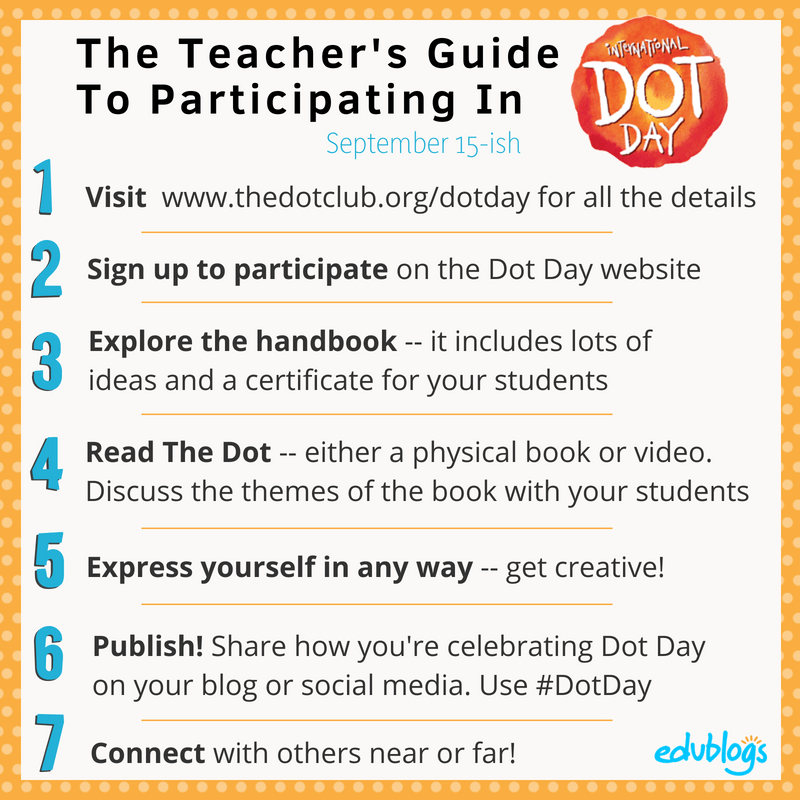 Here is another example we prepared for International Dot Day. This sort of thing can really help the time-poor reader. Quotes can be powerful additions to blog posts. They can offer a burst of insightful learning and back up your own thoughts. 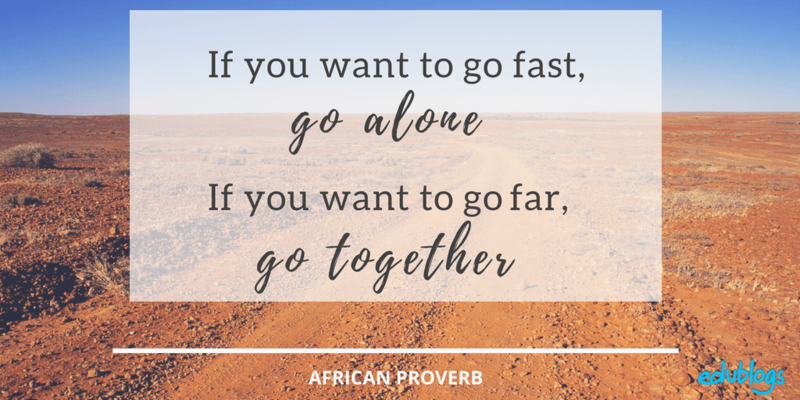 In our post on The Edublogger about quotes, we outlined different ways you can use quotes and turn them into shareable graphics. You wouldn’t want to make every quote into a graphic but it can certainly give your readers something else to focus on and share. A quote graphic might display the words over an image, pattern, or a block color. There are many different ways you can make the sorts of visuals we described above. There are a number of offline tools available, such as Adobe Photoshop or Indesign, however, online tools are more popular than ever. A lot of these tools are based on templates, so you don’t even need design skills. If you have any suggestions for web tools, apps, or offline tools be sure to let us know in a comment. Canva is certainly one of the most popular free tools out there for bloggers! 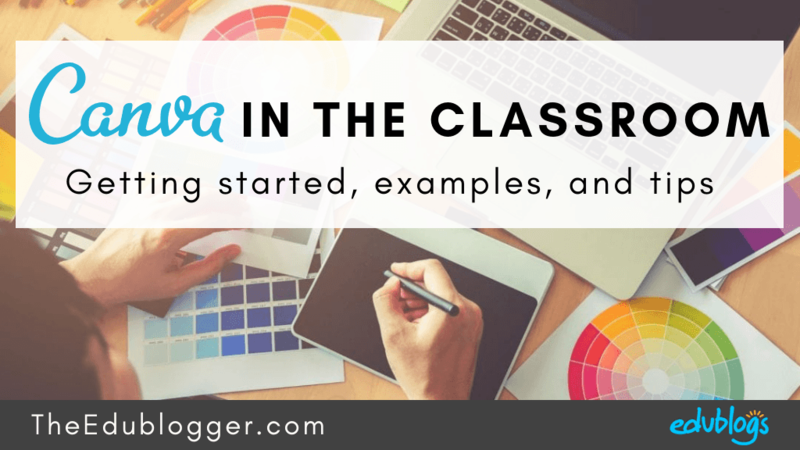 Check out this post on The Edublogger about Canva for more information and ideas. A lot of people who might be interested in your blog posts are hanging out on social media. You want to strategically share your content on social media and make it easy for others to share as well. Teachers are active on different platforms — Twitter has traditionally been very popular with teachers (if you’re new to Twitter you can find out more information here). There are also a large number of teachers active on Facebook, Instagram, Pinterest, LinkedIn etc. You don’t have to be sharing on every platform. Using one or two social media platforms well can be a more successful approach than spreading yourself thin across different networks. If you are going to share your posts across various social media platforms, tailor your message to cater to the different audiences and the different ways the platforms are used. For example, Instagram and Twitter use hashtags more than Facebook. Pinterest tends to center around larger ‘shareable’ images. Twitter has a 280 character limit whereas Facebook allows you to write lengthier posts. Keep these sorts of details in mind if you’re going to cross-promote your posts. Copying and pasting may not be the best approach. Just because you post something on social media, doesn’t mean it will be widely seen. You might need to post a variation of the message a number of times. Repeating the same message without variation is not a good idea and is against the rules with some social media channels. On Twitter posting ‘duplicative or substantially similar content’ is not allowed. To make posting on social media easier, some people use a social media scheduler like Buffer or Hootsuite although use this approach with care. You don’t want to look like a robot! Make your posts stand out! We know that each social media platform has its own best practices for formatting updates. Let’s focus on Twitter for a moment and take a look at the sorts of tweets that are more likely to stand out. You can just share the title of your post and the link but is this really going to be noticed in a busy stream of tweets? Images, emojis, quotes, summaries of information, GIFs, videos etc. can all help to make a tweet stand out and encourage others to read it, share it, and/or click on the link to the post. Want more advice about using Twitter and creating shareable content? 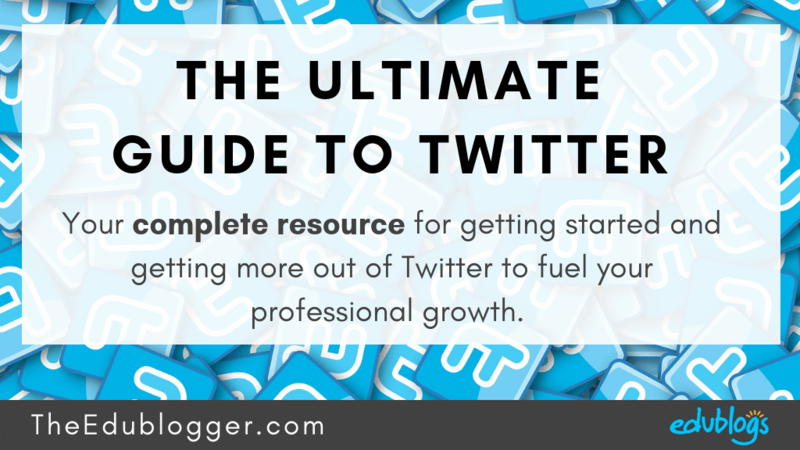 Check out our Ultimate Guide to Twitter. You might be particularly interested in the examples of tweets that stand out. How are people keeping up to date with blogs? Traditionally, people would subscribe to get email notifications of new posts on blogs they enjoy reading. Or they’d use an RSS Feeder (a popular one is Feedly. You can read more about how this works here). Email and RSS are still being used, however, things have changed a little. When we did a quick poll of our Edublogs community in July 2018, 61% of respondents indicated that their favorite way to keep up to date with the blogs they like to read is via social media. Why is social media a popular way to follow blogs? People are getting more emails than ever before so are becoming more selective with what subscriptions they sign up for. They might only subscribe to a handful of their favorite blogs. Some individuals are becoming more satisfied with consuming information serendipitously. Should I bother with an email subscription? Having an email subscription option is going to allow your most loyal and valuable members of your community to stay in touch with you. There are no guarantees that people in your network will see your posts on social media. You can’t control that. Offer your readers a channel to make sure they don’t miss your content. Email is much more personal than social media. Your readers can hear directly from you and it can help to build a relationship. So we’ve established that it’s definitely a good idea to have some sort of option available for readers who would like to subscribe to your blog via email. Now you have two choices. Do you want to use an automated service? Or do you want to create a handcrafted newsletter style email that you send out on a regular basis? If you’re using Edublogs Pro, did you know you can add a simple email subscription widget on the sidebar of your blog? Subscribers will receive an email automatically to alert them to new posts. You can choose to send a full post, complete with all images, or a post excerpt. Find out how to activate the email subscription widget here. It’s becoming increasingly common for bloggers to create their own newsletter using an email service provider. There are many email service providers out there and many are free to use until you reach a certain number of subscribers. If you’re interested in comparing different email service providers, check out this guide from ProBlogger. Automatically send out emails to people on your list when a new post is published. Create a personal email to your email list telling them about your new post(s). Generally, you might give an introduction to the post and ask them to click to visit your blog and read your post. You might send this out every time you publish a new post or at regular intervals (weekly, monthly etc.). One of the most popular email service providers is MailChimp. It is free to use up to 2000 subscribers. MailChimp uses a simple drag and drop editor and offers a range of different templates for the design of your newsletter. There are also different options for creating sign-up forms. You’ll probably want a sign-up form on the sidebar of your blog but you might also include it at the bottom of your blog posts, in a page on your blog, or as a ‘landing page’ that you can share on social media. Check out the Getting Started With MailChimp guide for more information. It’s ideal if people who are reading your posts share it with others. This can be a great way to find new audience members. Everyone has their own tribe or network. If someone from your network introduces your work to others in their own network, the results can be exponential! Consider putting a call to action in every blog post asking your readers to share it on social media or share it with colleagues if it resonated with them. You can also use a variety of plugins to encourage your readers to share your posts. Let’s take a look at AddThis and Jetpack. 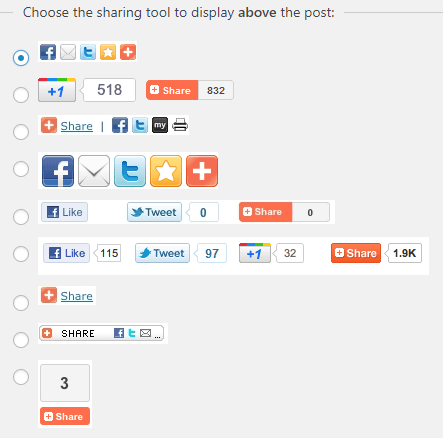 AddThis is a handy plugin for your blog that adds a social share button to every post and page. You can add a range of buttons above and/or below your posts that readers can click on to share in a variety of ways. You can choose to display these buttons in different ways. You can also add the Social Share widget to your blog sidebar so visitors can share your blog with others. Check out our help guide for more instructions on setting up AddThis. Jetpack is a powerful plugin that adds several different features and tools to your blog, some of these make it easier for others to share your posts. Publicize: Makes it easy to share your posts on social networks automatically when you publish a new post. Learn more. Sharing: Enables you to add sharing buttons to your posts so that your readers can easily share your content on Twitter, Facebook, and other social networks. Learn more. Check out our help guide for more instructions on setting up Jetpack. The final tip is a simple one that’s often overlooked: If you want to have an audience you need to be an audience. Subscribing to some blogs you like via email or RSS (e.g. Feedly). Or, following bloggers on social media. 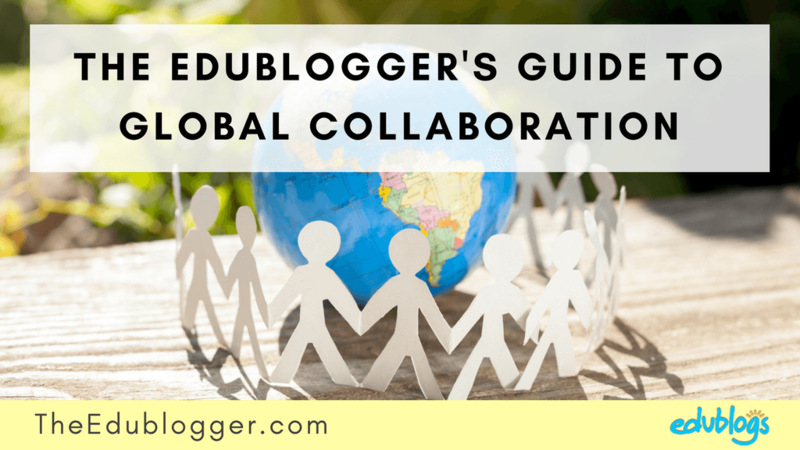 Sharing blog posts that resonate with you on social media; support other bloggers. Leave comments on posts that you enjoyed, leave you curious, or challenge your thinking. Rather than being a passive reader, try to find a way to be active in your approach to really support others in your community (e.g. sharing, commenting, connecting). Follow this approach in an authentic way and show genuine interest in others. Apart from learning a lot and building your PLN, you might find your audience begins to build naturally as well. As you get to know other bloggers, you might also consider guest posting. It could introduce you to a new network of readers and you could be helping a fellow blogger too. You might connect with someone who has a small but engaged network of readers. Arrange to write a relevant guest post on each other’s blogs. The guest post could include a short introduction with a link to your blog, and/or a bio at the bottom of the post. Perhaps some of those readers will start following you and vice versa. Win-win! You’ve made it this far and hopefully you’ve made a great start to blogging. How do you keep it going? Check out this post which goes through 12 tips and decide what you can focus on as you go forward. Conclusion: Blogging Is Worth It! We hope you’ve enjoyed this Teacher Challenge Course on personal blogging. Building your own personal blog takes patience and a commitment to stick with it. Remember, the rewards will be worth it! Blogging has helped my learning grow significantly because I have done it consistently for myself, not necessarily for an audience. Knowing an audience is there though, has made me think a lot deeper about what I share though, and it helps me create a “360 Degree View” of my learning; I do my best to focus on all angles of what I am sharing before I share it. Choose one or more of these tasks to complete the final step in this course. 1. Leave a comment on this post about your blogging journey so far or future goals. Or, if you prefer, you can write a blog post and leave the link so we can take a look. Think about where you are on your blogging journey, what you’ve learned, and where you’d like to go. You might like to write down a short-term goal (what you’d like to work on next) and a long-term goal (what you’d like to work on eventually). 2. Try out one or more of the methods we’ve described above to share and market your blog. Maybe you’ll set up an email subscription, be an audience for someone else, try making visuals for your posts etc. Leave a comment to tell us about what you did. If you prefer, you can write a blog post and leave the link so we can take a look. Have you completed each of the 10 steps in this course AND left a comment on each post? 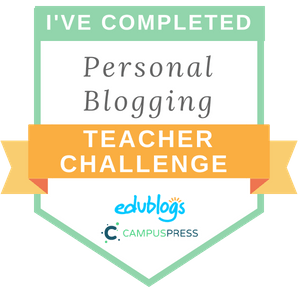 Maybe you’d like a certificate to show that you’ve completed the Personal Blogging Teacher Challenge course! Fill out the form below to receive your certificate via email. Alternatively, click here to open the form in a new tab. If you don’t receive your certificate, please look in your junk/spam folder. If you’ve completed the Personal Blogging challenge, feel free to proudly display this badge on the sidebar of your blog. Alternatively, you might like to add it to your About page to demonstrate your professional learning. Simply right click on the image and save it to your computer. Then add it to your sidebar by following these instructions. We’re so happy to have you as part of our Teacher Challenge community! Overall, I liked this journey of blogging. I learned valuable information, such as embedding and adding widgets. My goal would be to use this blog for my future students. I hope you enjoyed the course and learnt a lot! Keep blogging! So glad it helped! You’re not alone with your false start to blogging. Teachers are so busy so it can be hard to find the time to really get going. How exciting about the conference! If you need any further help, please get in touch! I loved using EduBlog! I love to write and have wanted to start another blog for a while. I have a blog on Instagram/Facebook but haven’t been able to post because of school. This was a great opportunity to use this blog because it fit within my schedule and will be looking forward to using this during the future. Well done on completing the course! All the best as you move forward in your studies. Overall, i enjoyed my blogging experience. I learned lots of new techniques and used lots of different tools that i would have never thought to use during a blog. I love the versatility of this blog. I enjoyed my blogging journey and will use it to blog about my continued journey as a future educator. Well, I started my Edublog as an assignment for a grad class, but I have done a little blogging in the past and I have seemed to rekindle my love of writing (and ranting). I learned more things in these 10 steps than I could have figured out on my own, so that in itself is valuable. I think I’ll be able to add more of my classwork and reflect upon it in more diverse ways. I’m only required to do 6 posts for my class, and I’ve already done 3, but I think I want to keep going after that because for me it is an outlet for me. I hope to keep blogging through the rest of the school year and into the summer and surpass my required 6 posts. I have gained so much more knowledge on creating my own blog. Im so happy!! The end. This was a quick journey, but i received a lot of valuable information. Looking forward to the next challenge. This journey using edublog has provided me with a lot of knowledge on blogging. Before this i would only blog with a group of classmates and now I am expanding my knowledge and hope to continue to do so using this great source. Creating this blog was super fun and beneficial. A bonus is that we are also provided with a certificate at the end of the 30 day challenge. This is a great way to write about out current and future experience as educators. I did realise that marketing encampus a whole lot of information. My experience through this site has been amazing! I learned so much useful information that I will be able to continue to use throughout my career! I agree with everything you said aimee. My experience through this site has been wonderful. I have learned so many useful and helpful tools! I have been using this blog as a marketing tool and for many scholarship opportunities. I’m so glad to hear the course has been useful for you. How wise to set yourself up with a blog that will help launch your career. Good luck with the rest of your studies! What a great idea for your future educators. I’m sure you’re really helping to prepare them to excel in their future roles. It can also be a good thing for educators to go through the struggle of learning something new where it’s hard at first but then you get the hang of it once you persevere! How exciting that some students are doing more than expected too. The free Pro upgrade ends at the end of February but the free course is ongoing so please go ahead and use it with future cohorts of students! I am fairly new to blogging but thanks to this amazing course, I feel more confident to continue my blogging journey. This was a fascinating learning experience. I really enjoyed learning how to use embedding, widgets, plugins, and other great techniques on my blog. My short term goal is to continue to add to my blog on a consistent basis. My long term goal is to complete the “building your PLN” course. I have learned so much from this course, and I am looking forward to applying what I have learned from it. I am excited to show my blog to my family and friends. So glad to hear the course was useful to you! 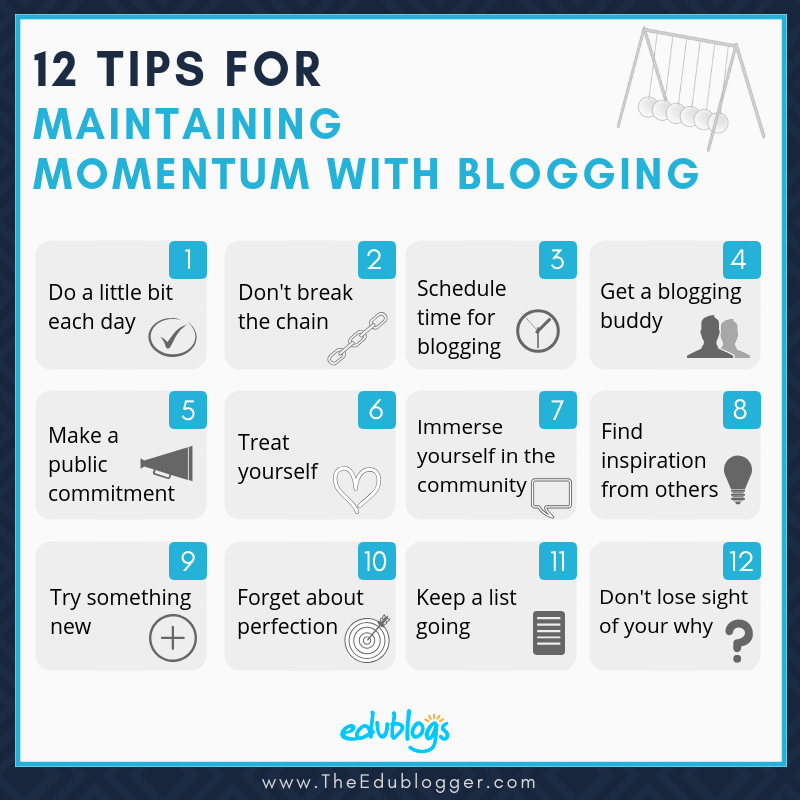 If you haven’t read it already, this post about maintaining momentum with blogging might be useful to you too. I have always been interested in blogging but I figured I didn’t have the time or that I would not have anything interesting to talk about. After completing this course I realized that I could make a really great blogger and share my experiences as a new teacher. I would like to incorporate this into my future classroom and with other teachers. What an awesome transformation. You should be very proud and no doubt you’ll be a role model for others. I have created blogs for my students to use, but I never blogged for myself. However, it has been a dream to start and maintain a personal blog. I have learned so much from your course. I appreciate this opportunity. It is my intention to blog consistently several days each week. Although my blogging journey has just started I feel confident now that I will be able to make the journey a success! The short term goal is to market it to all the students at our school. In the longer term, I hope that they make reference to the stories I post in their work. Your blog is looking great and I’m sure it’ll be a helpful resource for students. Well done! My goal is to continue capturing my reflections in this space as much as possible. I haven’t decided what kind of regular time frame will work best but hopefully a few times a week will be possible. I showed this course to a friend/colleague of mine and she’s going to start her teacher candidates on these steps next week. Thanks for extending the deadline! Thank you so much for this course! My blog is so much better than it would have been otherwise. This was so easy to follow, but I learned a lot! Step 10! What a great course! Thanks, Edublogs, and thanks especially to Kathleen who has been so generous with her comments. I’ve enjoyed this a lot! So, to my task, I have been using Twitter to publicize my posts, as Twitter is where all the people that I follow “live”. I consider Twitter a great place for personalized PD and hopefully, my blog will contribute to others school librarians’ professional journeys . Of the other tools featured, I use Canva. I have a pro account that I’ve set up for my library team after many years of using the free version, and we love it, especially now that we can collaborate on designs. We mostly use it for hard copies we post around our campus, but we’ll be using it more and more for social media. The different ready-sized social media templates make things super easy. I wanted to use Jetpack and activated the plugin, but there seems to be some sort of glitch and I can ‘t use all the features. I especially wanted to embed my Goodreads shelf but can’t seem to get past the first dashboard. I will most likely de-activate it and try activated it again to see if that will help. Thanks again, Kathleen! Happy blogging, everyone! I’ve really enjoyed following your enthusiastic approach to the course, Josianne. So thank you for that! I’m a big fan of Canva and I’m glad to hear you have access to the pro version now. I love the extra range of images and icons you can use. Plus I find being able to resize designs a handy feature. Sorry to hear you are having trouble with those plugins. Feel free to email the support team support@edublogs.org if you’re having trouble still so they can look into it for you. Hi everyone… I’m familiar with Canva but since the site doesn’t allow you to turn your graphics into vector (scalable) images this has caused a few issues for me. I’ve been dealing with a lot of artwork for my online course, and this requires manipulating images without losing resolution or quality. I’m going to try out Adobe Spark and see how that works. My other goals are listed below. * Locate the educational steampunk society, based here in Australia (I came across this earlier but lost the link – typical) and engage in the current discourse on genre, gender and politics. I began my blog as a way to share my professional learning mainly with my colleagues. There is so little time during the school year to really sit down and discuss things that we have learnt to do, new ideas we have tried or new resources and how they worked, professional reading, education trends and the list can just keep going on. I figured that if I blogged my thoughts (or “musings”) then my colleagues can read it when they have time. I have also shared a link of a post from my blog on Twitter, to see if there is anyone watching my tweets. Your blog is coming along nicely, Michelle! I just left you a comment. Well done on getting to the end of the challenge. You’re right that there is often little time to discuss and reflect on things during the day. I don’t know about you but I also find the act of writing seems to clear up my thoughts a bit too. I hope your colleagues and others will enjoy reading your posts. My goal for using Edublog is to create my educational portfolio. I have used google sites, wordpress and others. I am excited to try and pursue this pathway. My goal is to teach my teachers at my school how to blog because we are losing our district blogs in March. That’s great to hear you plan to teach the teachers how to blog. I hope they enjoy it! I’II do the task 1. 1. I’ve been blogging since 2013. But I’ve never used EduBlogs before. My intentions are to continue blogging and discussing all the issues related to education with which I have some familiarity. I hope, therefore, to be contributing to a better quality education for all, especially the teachers and students of my country with the help of so-called new technologies and of the active methodologies. Thanks for the great course. Well done on all your work, Prof. Carlos. It has been interesting reading your insights. Thank you so much for your instructions, tips, and resources! I was able to set up a social media share button and email subscriptions. This challenge really sparks my beginning part of blogging journey and I hope I can keep it up! My short-term goal is to write a review for every inspirational book I will be reading for the next month or so. My long-term goal, I really hope I can accomplish this one, is to publish at least one 300-word blog every month in 2019. Well done, Jenny! That sounds like a nice achievable goal. I’m sure you’ll be able to write a monthly post. I also have a goal of writing one or two posts a month on my own blog. I used to publish weekly but found this method of quality of quantity works best for me! Thank you for lesson on setting up a blog. Lot of information up front but will slowly expand and learn to use many of the options in the future. This has been great getting my feet wet in the blogging world. I do think that once I become a teacher I could see a blog being a beneficial way to communicate with my families each week. I could see it being a way to include parents, caregivers, or guardians in our activities that we are doing each week. I think one of the downfalls it just making sure that you have time each week to update it. I think that blogging is a fluid thing and if it is going to be successful you need to take the time each week to provide resources, materials, and items to the blog. I currently do not see myself maintaining a blog at this time, but I could see myself doing it in the future when I have a classroom of my own. I am not huge in to screen time. As a father to 5 children, I spend most of my night time with them and rarely have time for leisure. Which at this point in my life I am ok with. I hope that maybe in the future I would find myself being able to enjoy reading different blogs and following along with them, but for right now my life is too packed to have my nose in a screen for the evening. This course has been great and I have appreciated getting to know how to run a blog. Thank you! Thanks so much for your feedback, Mr Blake. You have done so well! I’ve enjoy reading all your thoughtful comments and posts. Time can definitely be an issue … and with 5 children at home you must be run off your feet. This is something you will be able to navigate when you start teaching. Depending on the age of the students, you might be able make the most of blogging during class time and have the students help too. Or you might be like Becky Versteeg, who almost uses her blog as her daily planner.